The Danish design company Skagerak has added three new designs to its Turn collection. A new coat stand, hooks and hangers will thus be presented at the company's stand at the Stockholm Furniture Fair this week. 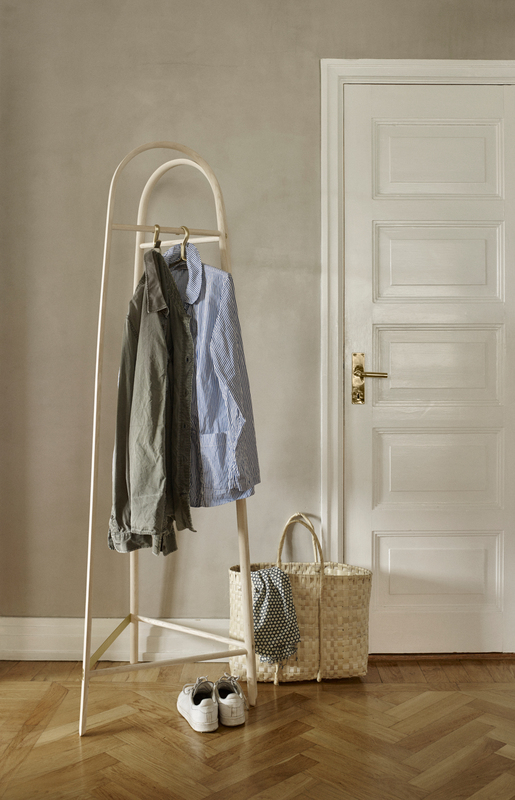 The new coat stand is made from a magnificent mix of steam bended ash and small brackets in golden aluminum. 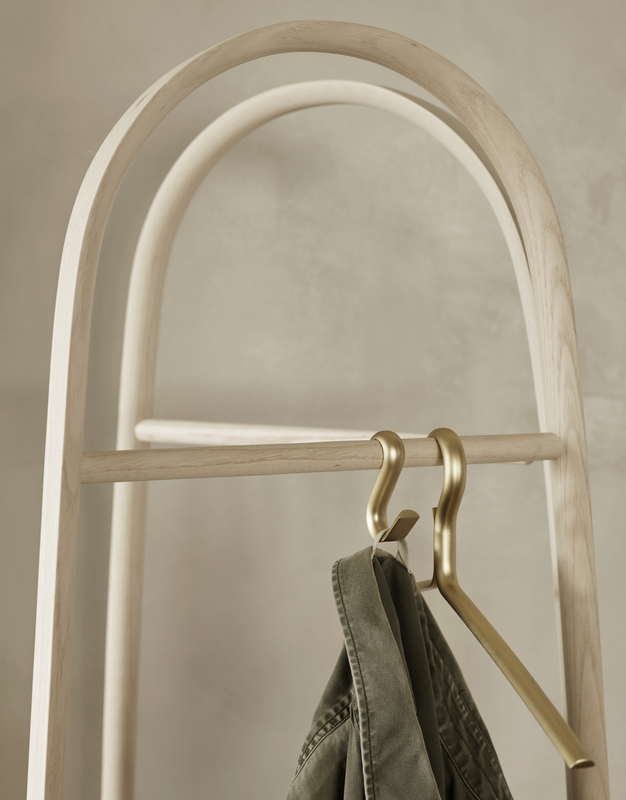 The hangers and hooks are likewise made from aluminum, altogether creating a modern contrast to the light ash wood. The overall design draws on natural references to semicircles and crescents - seen in both profiles and form. By making the Turn collection, Danish designer Line Depping has been working with wood's ability to bend when steamed and compressed. Steam bending is an old craft tradition, possibly going all the way back to the Viking Era when developed for bending wooden planks for ship making. The technique is also widely used for making musical instruments, sports equipment, and impressive building structures. The light and living ash wood is perfect for steam bending because of its strength, flexibility and large, open pores - opening up for the possibility of designing new forms and functions. The new Turn products will be available in stores from the beginning of March.